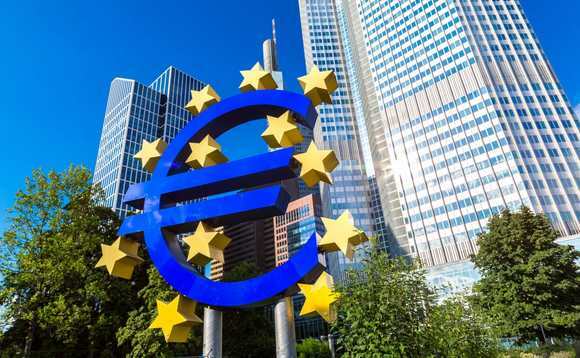 The European Central Bank has taken an unnecessary gamble with extended forward guidance and plans to end quantitative easing according to a number of industry commentators. “The ECB has announced QE will end in December and rates are to be on hold until ‘at least’ summer 2019. If the ECB hikes rates in Q3 next year – the earliest date compatible with its forward guidance – should Europe achieve the growth it forecasts in the intervening period, it will be doing so after 25 consecutive quarters of positive growth. “By that time, market prices imply that the US hiking cycle will have finished. One wonders why the ECB felt the need to pre-commit to such a long period of forward guidance, more than a year from today. “I can only think the ECB was so scared of causing a bond market sell-off on the announcement of the end of QE that it decided to cushion the blow with extended forward guidance. But committing to no hikes for more than a year, when rates are at -0.4, it owns a sizeable proportion of the European government bond market and we’re arguably very late in the cycle, looks like an unnecessary gamble. Garland Hansmann, portfolio manager, Investec Multi-Asset Credit, said that although the ECB left key interest rates unchanged, this came as a surprise to markets with a more accommodating than expected stance. “With the statement that key interest rates will remain at historically low levels until the summer of 2019, the ECB has removed any fantasy of an earlier rate hike. “The statement is likely to have little effect on longer-term interest rates, but may hold them at current low levels with more stability than would otherwise have been the case. However, one could imagine that it may have a weakening effect on the euro, especially in comparison with the USD, where the Fed raised interest rates yesterday. “Draghi is therefore aiming to make sure that inflation continues to rise to the ECB’s target level and provides support to the European economy which has recently shown weaker numbers. “Fairly dovish tones from the ECB today. As widely expected, the ECB put an end date on net asset purchases. This is mitigated by the fact that purchase volumes will not simply drop from the current run rate of €30 billion per month to zero at the end of September, but tapered to €15 billion per month in Q4 first before being eventually stopped at year-end. “It is worth highlighting that this does not mark the end of quantitative easing in Europe, though. The ECB is going to reinvest maturing debt for an extended period of time after net purchases have ended, thus continuing to inject liquidity into European bond markets for the foreseeable future, albeit at a much slower pace than over the past couple of years. “We were somewhat surprised by the degree of dovishness displayed in today’s ECB meeting, which in our view was unnecessary. “The announcement that QE would be reduced to EUR15bn/month in the fourth quarter, before ending in December, was more or less expected. The surprise was that Draghi forcefully pre-committed not to hike rates until September 2019 at the earliest (keeping rates unchanged ‘through the summer, at least’). “This is surprising for a couple of reasons. First, the ECB now forecasts inflation at 1.7% in all of 2018, 2019 and 2020. To most, this would seem to qualify as meeting their target of ‘close to, but below, 2%’. Second, extrapolating the steady fall in unemployment the Eurozone has now enjoyed for many years, the U-rate will be back at 2007’s low levels by the time the ECB hikes for the first time this cycle. ‘At least’. “Draghi also sounded markedly negative on economic developments, emphasising risks, uncertainty, and financial market volatility. He even said that the ECB’s latest forecasts, which show continued above-trend growth, were made prior to some incremental negative information being received. The slowing in Eurozone data at the start of this year is clear, but this feels like an overreaction from a central bank that we would expect to remain a steady hand with a medium-term outlook. “Despite preannouncing the end of quantitative easing (QE) by December 2018 (after one more tapering from September onwards), Mr Draghi managed to deliver a firmly dovish message on the European Central Bank (ECB)’s monetary policy outlook. “Forward guidance on rates was strengthened – caveated with a promise of no rate hike until at least summer 2019 – and reinvestments were promised for an “extended period”. In addition, Draghi’s comment today, that the Governing council can adjust all its policy tools if needed, gave an air of another “whatever it takes”. “Throughout this monetary policy cycle, the ECB under Draghi has managed to over-deliver on its policy support despite strong opposition from Bundesbank and her allies. Today seems to be another balancing with dovish outcomes, as Draghi used the press conference expertly to further set in a dovish layering with both words and actions. “We continue to expect no hikes until Q4 2019 and think that the ECB will remain attuned to negative date surprises especially as trade and Italy risks come to the fore. The bar for changing the decision on QE is very high but the ECB retains enough flexibility to maintain accommodative policy conditions in the single currency area, despite the winddown of QE program.